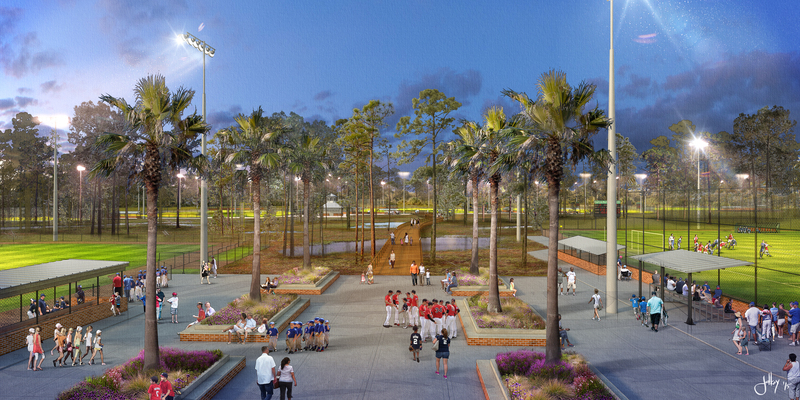 Through a public-private partnership with the Panama City Beach Convention & Visitors Bureau, St. Joe Company and Bay District Schools, sports visitors on play-cation will enjoy a brand new, world-class sports complex on the World&apos;s Most Beautiful Beaches in 2019. 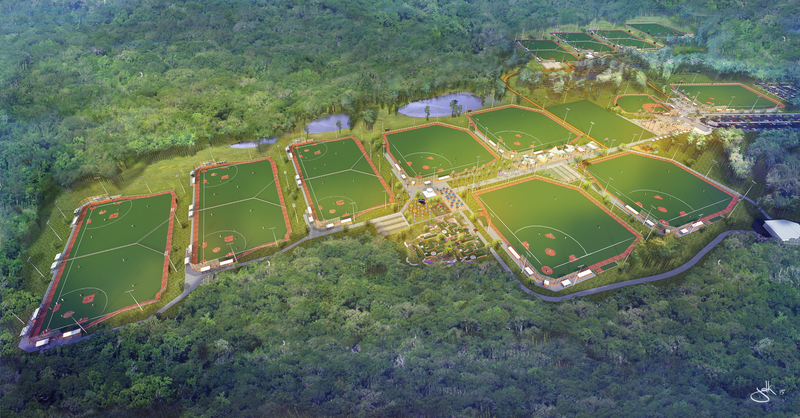 This new project (located on 210 acres of donated land) will be one of the largest complexes in the southeast. We are already booking events, so get yours scheduled as soon as possible! If you are interested in booking tournaments or trainings in 2019, please contact J.D. Wood. Due to a study in 2008 and 2013 regarding the need for rectangular fields, a market study and design for the complex began in 2015. The concept was approved in 2015 and 10 acres for the access road was purchased. 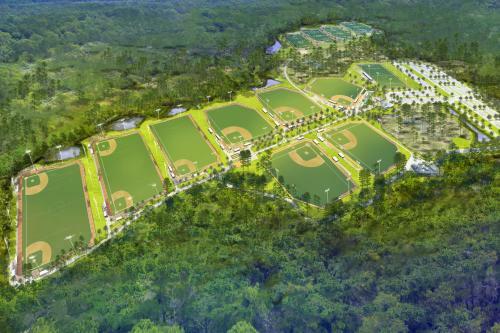 The land transfer agreement from St. Joe Company was finalized in 2016 and the final design was completed in 2018. In April of 2018, land clearing and road construction began. 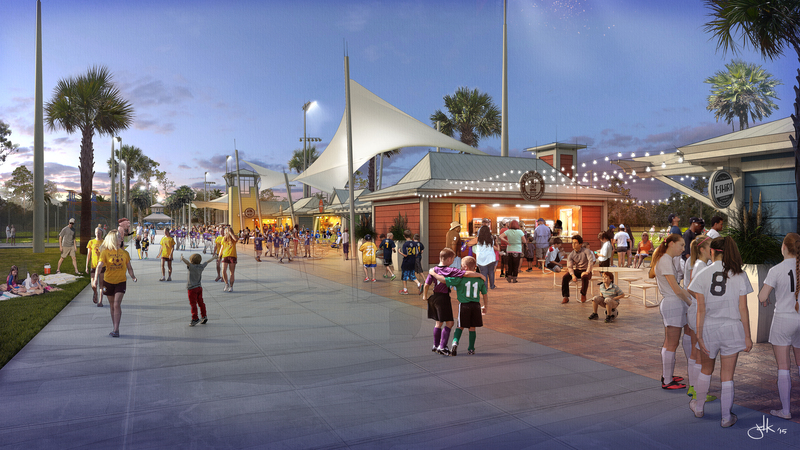 The bid was approved by Bay County and the ceremonial groundbreaking for this facility was on June 13, 2018. 16,000+ rooms available in Panama City Beach ranging from single rooms to three bedroom condominiums.